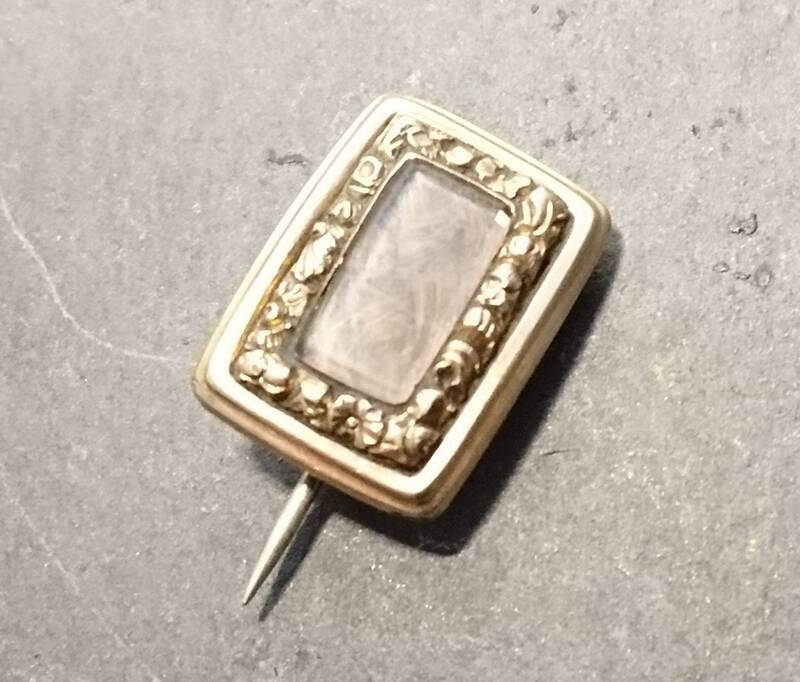 A beautiful little Georgian gold hairwork mourning brooch. 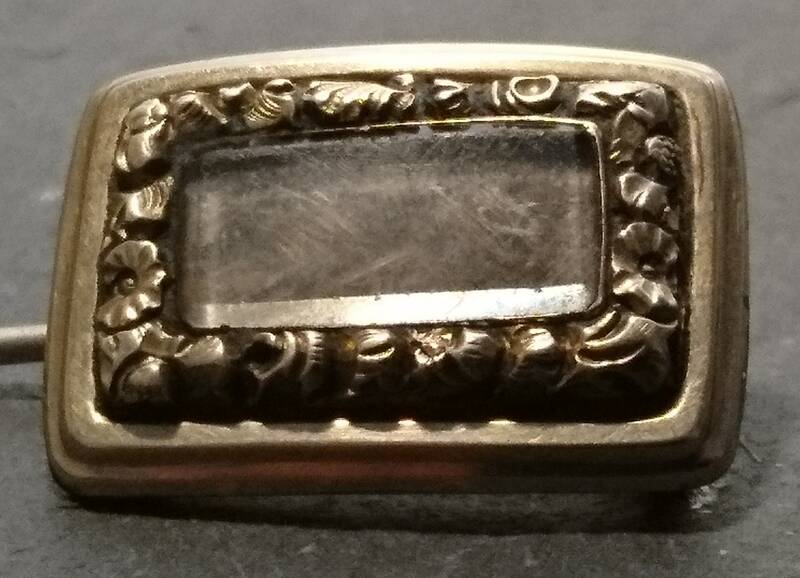 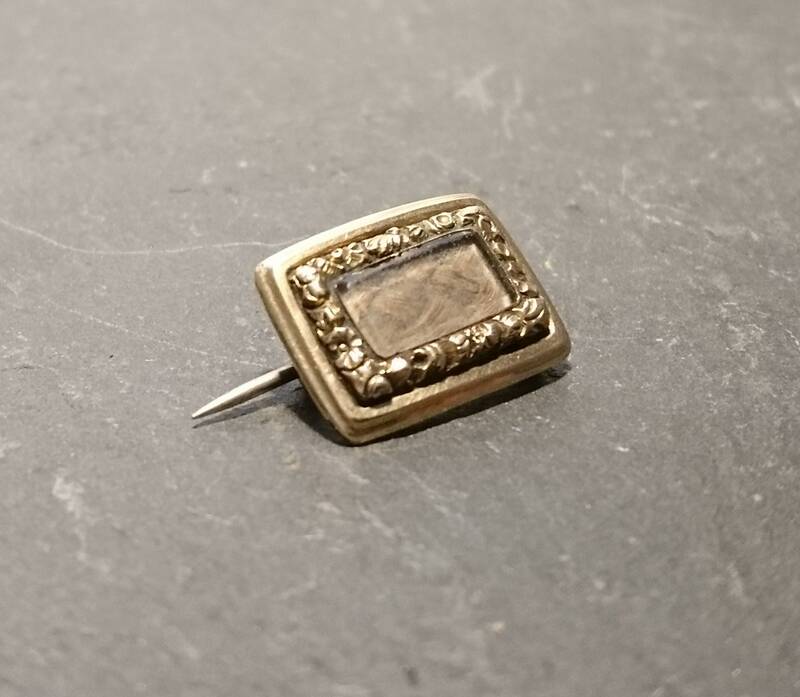 It is made from unmarked 15ct yellow gold, tested, crystal and a plait of golden brown hair behind the crystal window, the gold frame is decorated with tiny little forget me not flowers in relief which create the frame around the plait. 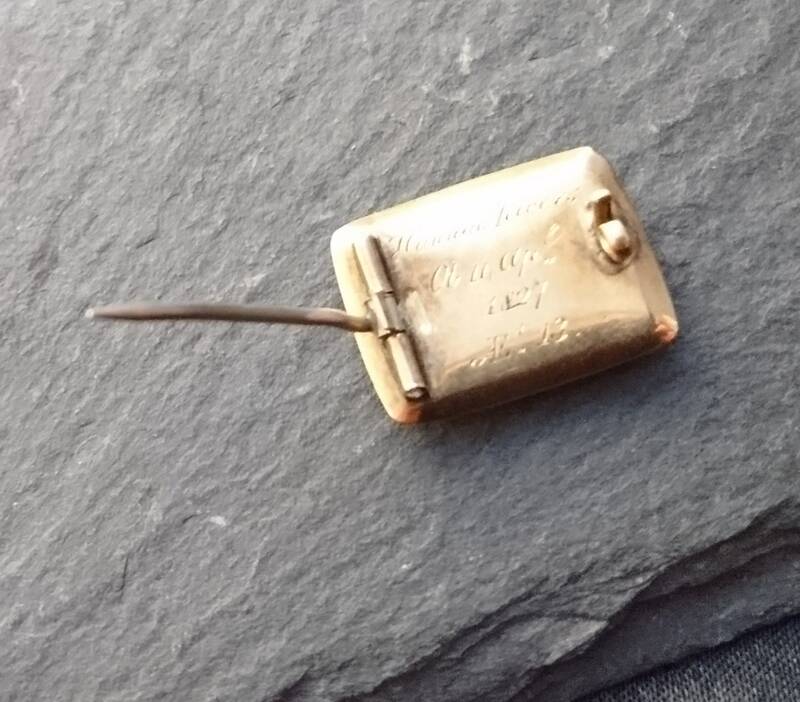 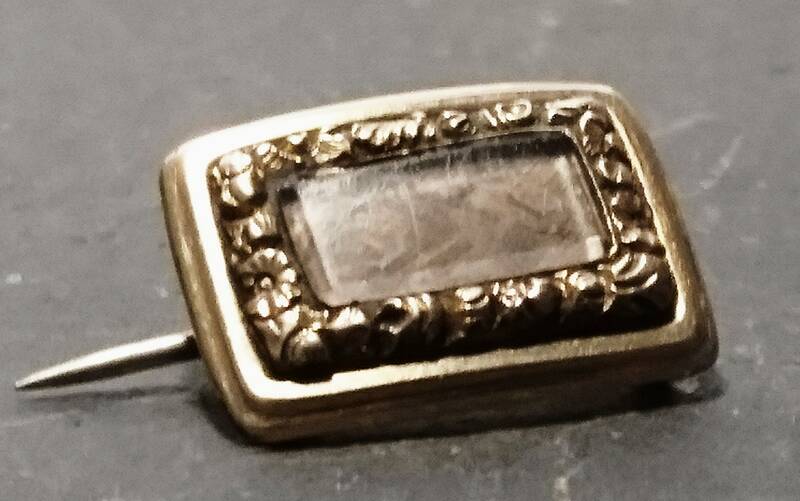 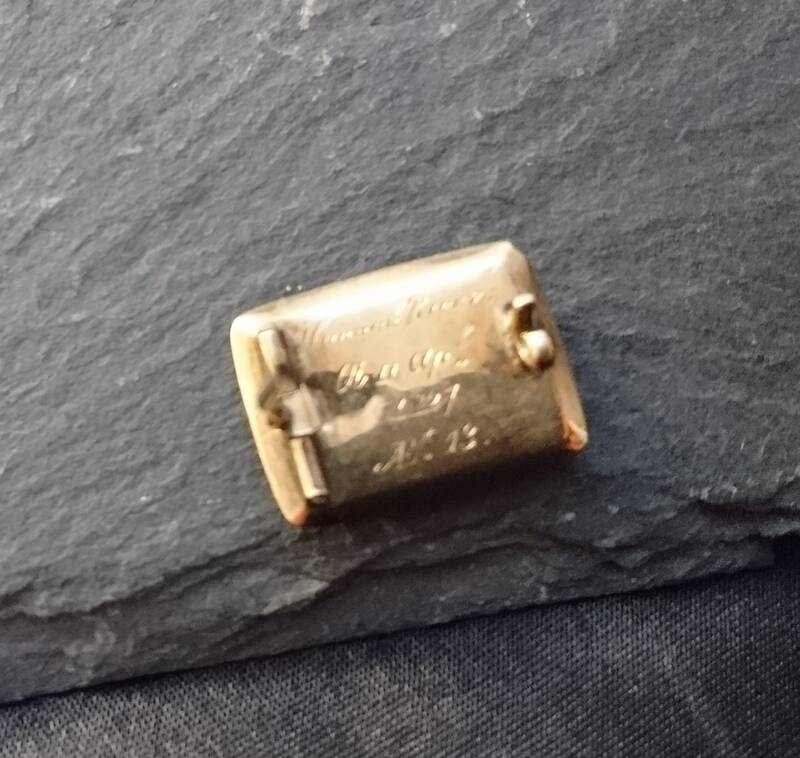 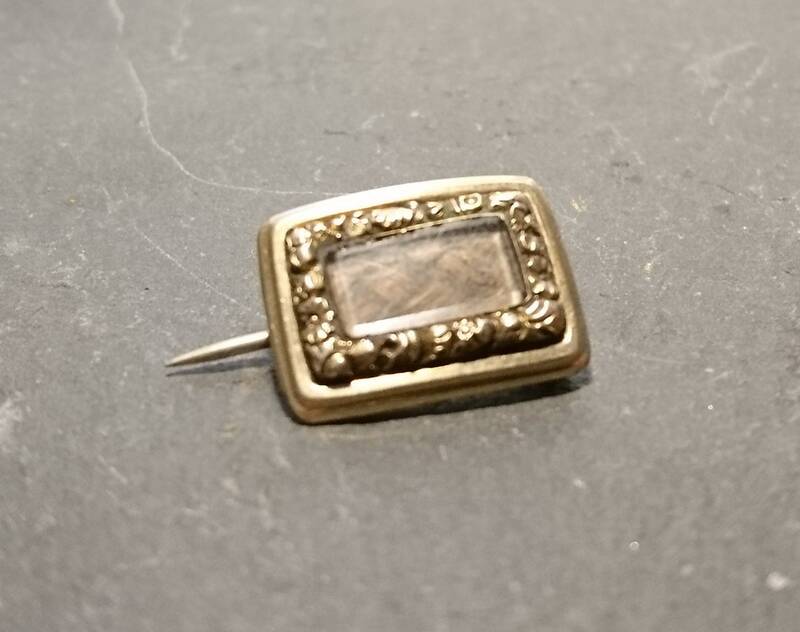 The back of the brooch is closed and made from the same 15ct gold, it is inscribed and dated: "Hannah Rivers, OB 14 APL 1827 AEt 13"
The sentiment in these pieces is beyond beautiful and full of emotion. 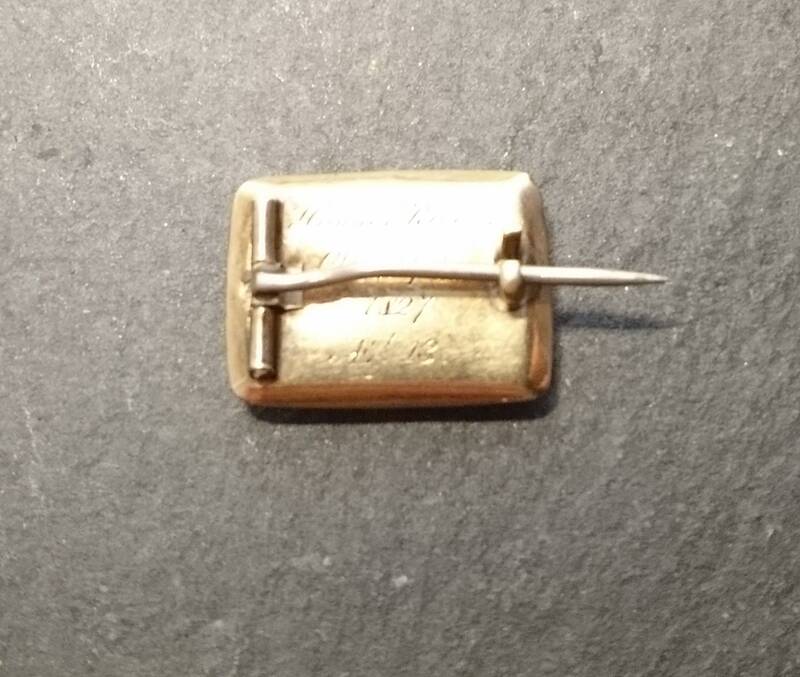 It is small in size with a large steel pin protruding from the side which holds with an old C type clasp that holds well.